We have superior position and convenient transportation. For many years, we take "Existing with quality, developing with reputation" as our purpose. In the future, we will continue to consider "quality first, customer supreme, honest best" as our tenet. U channel steel tree stakes 1.Choose from a variety of U-Channel Delineator Post Products, including: 1.12lbs/ft, 2.00lbs/ft, 2.50lbs/ft, 3.00lbs/ft U-channel sign posts, with holes pre-drilled. 2.These metal U-channel delineator posts also feature 3/8" or 7/16" holes, spaced 1"or 2"on centers , for convenient sign mounting. 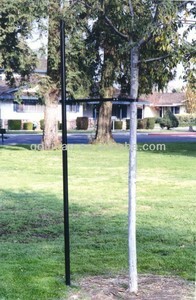 U-Channel Post is long-lasting and strong with baked enamel coating for rust protection. 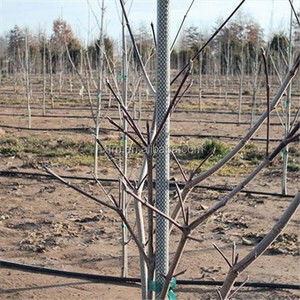 Galvanized vineyard metal trellis post grape stakes About Product: Hot dipped Galvanized Vineyard Stake is used in viticultural plantation or other farm usage. Any small problem happening in our nets will be solved at the most prompt time, we always offer relative technical support/consultant. Could I get a discount9 -If your quantity is more than our MOQ,we can offer a good discount according to your exact quantity. &diams;We provide best service 1. Punctual delivery time: &bull;We put your order into our tight production schedule, ensure your punctual delivery time. &bull;Shipping notice/ insurance to you as soon as your order is shipped. 2. After sales service: &bull;We respect your feed back after receive the goods. Ningbo Garden Style International Trade Co., Ltd.
Prefabricated steel tiny house with chicken feeder automatic Product Characteristics 1.Low maintenance costs 2.Environmentally friendly, recycling. 3.Flexibility when fixing doors, windows and interior partitions 4.Steel structure construction is strong, durability and stability. 6.Long service life for more than 50 years 7.Fast construction ,easy installation and convenient to transport. 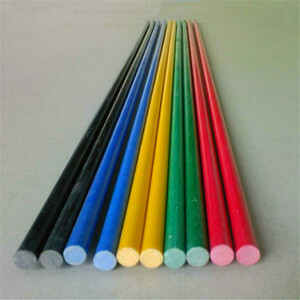 Specifications garden plant stakes/decorative garden stake : 1.PE coated steel pipe 2.Dia:11mm 3.Length:1500mm Dimentions: 1. Material: PE coated steel pipe with cap on both side 2. 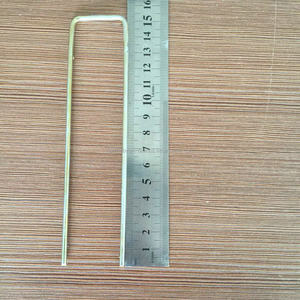 Diameter: 7.6mm*0.23mm (steel pipe diameter) 3. 8.8mm(diameter after coating) 4. Weight:0.42KG/pc 5. Application: support plant or tie nets for gardens and farms etc. , Caps on both sides can help the stakes go into ground easily on one hand and tie ropes or nets easily on the other side. then the cartons can pack by pallets or put on the container directly before shipment. 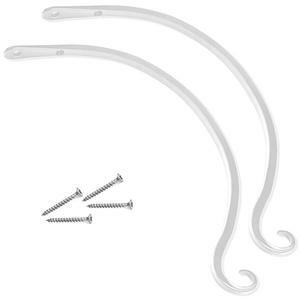 Delivery detail:15-30 days after the confirmation of metal screw-in dog lead stake . 2) Every new product can be made accruate by your design and requirements. All corten steel decorative abstract garden sculptures can be customized in different size, material and craft. We can make corten steel abstract garden sculptures based on the pictures or the designs the customers send. And pre-rusted treatment can help the corten steel to be weathered in a short time and the colour also can be controlled. 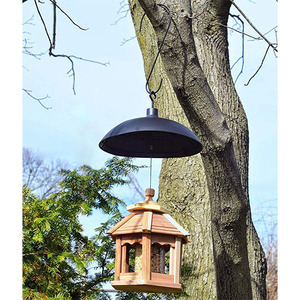 Alibaba.com offers 85 steel tree stakes products. About 2% of these are other fiberglass products. 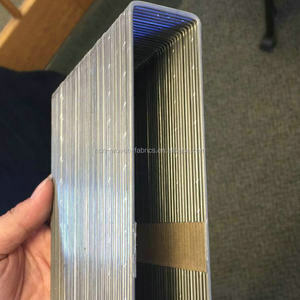 A wide variety of steel tree stakes options are available to you, such as free samples. 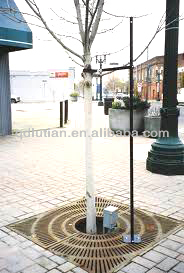 There are 85 steel tree stakes suppliers, mainly located in Asia. The top supplying country is China (Mainland), which supply 100% of steel tree stakes respectively. 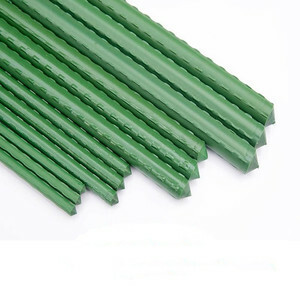 Steel tree stakes products are most popular in North America, Oceania, and Western Europe.